Sculptor: Nicholas Pirotton Figure was cast by the Allis Chalmers Co. of Toronto. 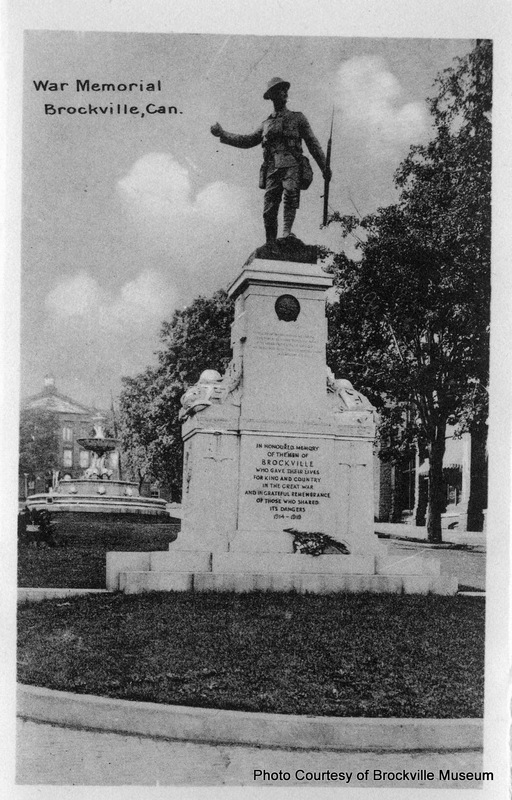 The Memorial was built and erected by McIntosh Granite Co. of Toronto. 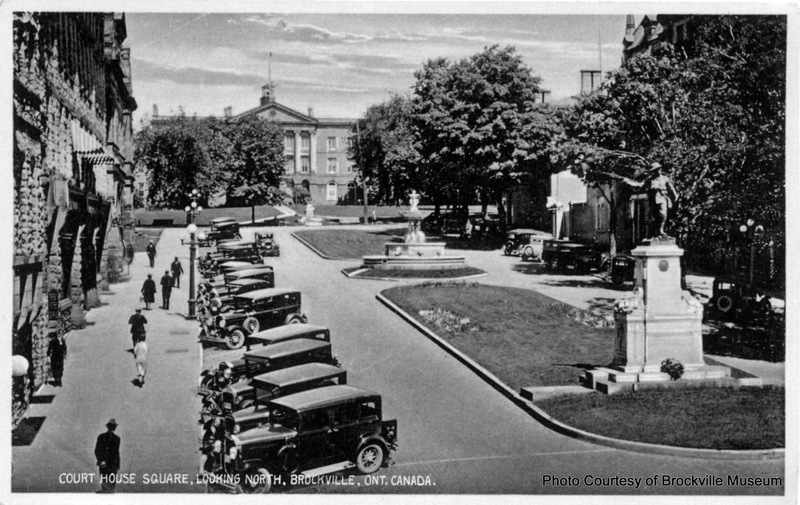 The monument was erected in 1924 in memory of those citizens of Brockville who died in the First World War. 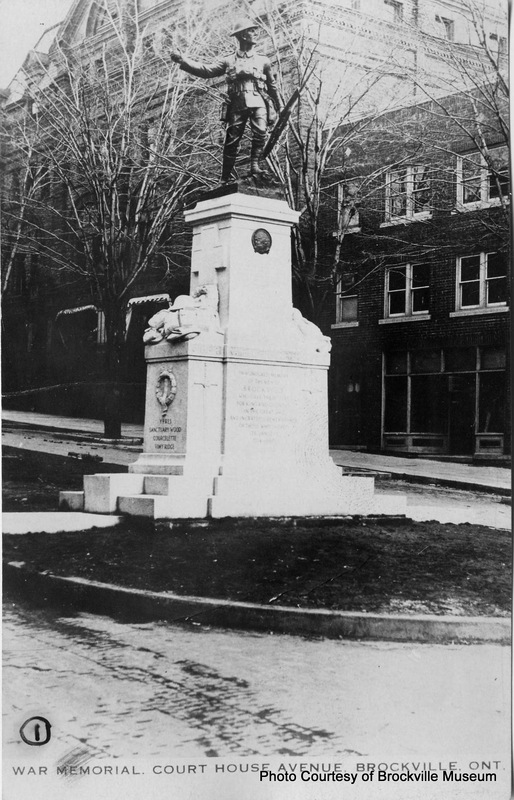 The granite base and shaft supports a bronze figure of a Canadian Infantryman in battle clothing grasping a rifle with fixed bayonet in his extended left arm while in the act of throwing a grenade with his right hand. The monument occupies a central position at the main crossroads of the City.